This page is for the Noah song titled Dynamis. For the 千本松 仁 song of the same title, please see Dynamis. デュナミス is a song part of the Shukucom (シュクコン) contest. It was added to MÚSECA 1+1/2 on February 15th, 2017. "Dynamis" or "dunamis" is the philosophical concept of potentiality and actuality. 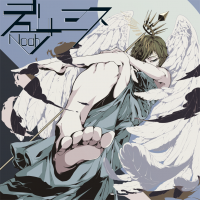 デュナミス is Noah's only contest song in the MÚSECA series.